There are many excellent choices for educating children in Northeast Ohio, but as the only classical Christian school on the east side of the greater Cleveland area, Heritage Classical Academy stands out. What makes a Heritage education special? Take a few minutes to get to us better – we think you’ll be glad you did! Our school motto is Veritas lux mea – “The truth is my light.” As Christians, we joyfully affirm that truth, goodness, and beauty find their full and perfect expression in the Lord Jesus. He is the the wisdom and righteousness of God, the Word made flesh, our Living Lord and Beautiful Savior. To know Him is the goal of all our endeavors. Our search for truth, goodness, and beauty begins early. Even our youngest students study great literature as a class, learning to appreciate language and ideas and virtue. Our study of history begins in first grade, when our students marvel at the engineering of the Egyptian pyramids and learn how the earliest civilizations around the globe took shape. Second graders explore the development of societies in the middle ages. Our older students cycle back through history, focusing more intensely on the ancient Greeks and Romans, returning to the middle ages, Renaissance, and Reformation, then turning to American history with a solid foundation in the ideas that gave shape to the founding of our nation. We study Latin purposefully, because we recognize that as students move from phonics into more advanced language arts, Latin provides a natural foundation for English fluency and expression (and for learning other languages!). Our methods are age appropriate. We strive to cultivate wonder and a love of learning in our youngest children, using songs and games to expose them to the building blocks of the curriculum. We encourage our older students to question, think deeply, and debate. And our oldest students learn to reason, persuade, and express themselves with beauty and clarity. We value the arts. Recognizing that our students bear the image of the Creator, we encourage them to explore and recognize beauty and to follow the examples of great artists and composers throughout history. Our students study Shakespeare – and perform it. We encourage diligence, constancy, and discipline in our students alongside curiosity, wonder, and inquiry. We recognize that hard work and restful contemplation both have a role in education, so we don’t pursue academic rigor at the cost of our students’ wellbeing. *We value family, church, community engagement, and rest. That’s one reason why our full-time students are not burdened by excessive homework. We aren’t data-driven. Instead of preparing students to do well on standardized tests, we want to equip them to appreciate truth, goodness, and beauty wherever it can be found. We aren’t just developing students to be future workers. We are working with parents to shape future citizens. That’s why our students actively practice expressions of respect for others in an atmosphere of grace. We do not receive any funding from the State of Ohio, which frees us to pursue an excellent classical curriculum in a thoroughly Christian context. We are an independent classical Christian school that is not affiliated with any one church. Our families are drawn from many local congregations, which is a source of great joy. Our campuses are convenient to State Route 8, a major highway connecting the eastern suburbs of Cleveland (via Interstate 271) with the Greater Akron area. Low student-teacher ratios in our classes are a priority, and our faculty is comprised of godly men and women who are excellent in their profession and committed to the wellbeing of our students. We would love to tell you more about HCA, so plan to visit us on Saturday, October 22, 2016 for a community open house from 10:00 a.m. to noon. at our Stow Campus, 4460 Stow Road, 44224. This entry was posted in Uncategorized on October 16, 2016 by jkrieger907. On Friday, September 9, 2016, Heritage Classical Academy hosted our 2nd annual Golf Classic and Silent Auction at Ellsworth Meadows Golf Club. Twelve foursomes enjoyed a beautiful day of golf- and the winning team finished 16 under par! Many families and friends of Heritage joined the golfers later in the day for a steak dinner and silent auction. We are thankful to God for His provision in this event in many ways. Numerous local businesses supported the event through donations, and 14 individuals and companies participated with us as financial sponsors. Heritage families devoted countless hours to planning and preparation, created a beautiful setting in which to host our dinner guests, solicited donations from local businesses, and participated directly in the event by donating items for the silent auction, golfing, and sharing in dinner afterword. As a result of your support, we raised just under $10,000 to advance our mission to equip students to think and live for the glory of Christ. God has shown His kindness to us in many ways, and we are grateful for His steadfast love and mercy as we labor with you for His glory. This entry was posted in Uncategorized on October 4, 2016 by jkrieger907. You have all of the supplies, the curriculum is stacked nearby, your children have made new friends… The school year has started, and it’s Tuesday. What happens now? When the first assignments come home from the Study Center and the pile of curriculum comes to life, homeschooling becomes a reality. It is a humbling privilege. Every parent who has educated a child at home will tell you that despite your best planning and preparation, the unexpected will happen. Kids will be kids. Lessons will take longer than expected. Attention spans will wane, and tears will fall. Sometimes, homeschooling moms and dads are simply at a loss for how to get through the day’s work. The good news for our homeschooling parents is that no one undertakes this work in isolation. As part of Heritage Classical Academy, you are part of a community of parents, students, and faculty who are committed to classical Christian education and to helping one another succeed – on good days, bad days, and all of the average days in between. So if you’re new to the Study Center, new to homeschooling, or entering a new phase in your children’s education, take a minute to relax and learn from the reflections of some Study Center moms who have been there before. One feature of classical Christian education is the principle of Schole, or restful contemplation and learning. But sometimes that seems completely out of reach! Study center moms emphasize that although we might be quick to jump into our lessons, a pattern of consistent prayer and Scripture at the beginning of school time sets the tone. It’s also important for parents to stay well-rested and balanced in their expectations of themselves. Heritage has an outstanding faculty, and they are committed to your children and family. Whether with questions about assignments, concerns about how to approach a task, or questions about curriculum, the teachers are accessible and willing to share their time and experience. Don’t hesitate to contact them! They are a great source of ideas for implementing the curriculum in the way that is best suited for your child’s learning style. Many of our students come to Heritage from school environments or from different homeschooling experiences. The adjustment can be difficult, and Study Center moms encourage you to be patient in the early days of the school year. Home assignments may take longer than you expect, but over time, parents and children will adjust and the days will go more smoothly. For any child, the transition into the school year can be a challenge, so bear in mind that each child is an individual created in the image of God with a unique personality, temperament, and working style. Some children crave independence and thrive when given the chance to work on their own. Others do best with a parent nearby, coaching alongside. Adapt to your child. When work seems overwhelming, frequent review using flashcards can be helpful. Other moms encourage using audiobooks when they are available to complement the written curriculum. Don’t be afraid to be creative! Homeschooling can be a challenge, but you are not alone. As a community, we are praying that we will all grow in our love for the Lord Jesus as we partner together in the education of our children for His glory. It’s going to be a great year – and we hope you’re excited to see what it holds. Interested in praying with others? Heritage moms meet monthly for prayer and fellowship, alternating evening and morning times, and dads meet on the second Monday of each month at 6:30 a.m. More information is available at http://www.heritageclassicalacademy.org. This entry was posted in Uncategorized on September 13, 2016 by jkrieger907. Rain fell as students were arriving at Heritage Classical Academy’s Lower Campus for the first day of school at the Study Center on September 7, 2016, but spirits weren’t dampened at all. After a long summer break, students poured into school with wide smiles and fresh enthusiasm for learning the subjects that comprise a classical Christian education: literature, composition, history, Latin, and mathematics, all woven with the truth of the Bible. This is the 14th year for Heritage Study Center, where students attend classes with teachers two days per week and are homeschooled the remainder. The Lower Campus focuses on the grammar stage of the trivium for students in grades kindergarten through fifth. This year, enrollment is so high that there are two kindergarten classes. Mrs. Hewitt returned to teach a kindergarten class, and Mrs. Kristen Walton will be teaching the other. Both teachers welcomed their classes of eager young students with open arms. Down the first-through-fifth-grade hallway, students reunited with old friends and met new children who joined the school. Fifth graders could be heard relishing that it is finally their chance to experience the fifth-grade tradition: the medieval feast! Plus, it’s pretty cool to be the oldest kids on campus. Each grade has its own traditions: Fourth graders make Mayan clay pots and stained glass, third graders mummify a chicken, second graders construct Laura Ingalls’ house and sew her dress, and first graders recreate famous pieces of art like Monet’s Water Lilies and Van Gogh’s The Starry Night. These halls go silent for a few days while students study at home, then burst back to life on Monday. This entry was posted in Classical Education, HCA Happenings, homeschooling, Study Center on September 9, 2016 by jkrieger907. August 31st marked a momentous occasion at Heritage Classical Academy as we welcomed 29 students in grades two through six to the first day of classes at the full-time Academy. In addition to the students, we are thrilled to welcome to our staff Mrs. Allie Blank, our second and third grade teacher, Miss Alyssa Presley, our fourth and fifth grade teacher, and Miss Rebekah Miller, our teacher’s aide. Next Wednesday, our full-time students will be joined by approximately 100 students enrolled in the Study Center. As we enter our 14th year of partnering with families in Northeast Ohio to equip students to think and live for the glory of Jesus Christ, we are grateful for God’s faithful provision in the past and excited to see what lies ahead. We are pleased to have a proven curriculum and a strong record of success, but we know that the need for classical Christian education in Northeast Ohio is great. There is more work to be done, and as God continues to give us favor, we are ready to meet the challenge. This milestone would not have been possible without the dedication, effort, and faithful prayers of Heritage family and friends. We are humbled and grateful for your support. Please continue to pray that we will know God’s blessing during this school year and that our families, faculty, and students will bear fruit to His glory. This entry was posted in HCA Happenings and tagged Classical Education on September 4, 2016 by heritageclassicalacademy. HCA Annual Golf Classic is Coming September 9th! It’s that time of year again. 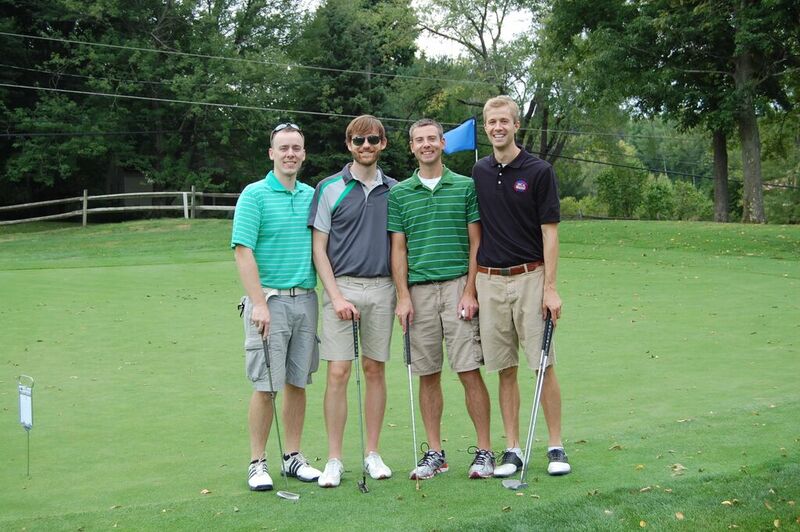 HCA’s Annual Golf Outing is back! Join us on Friday, September 9, 2016 at Ellsworth Meadows Golf Course (1101 Barlow Road, Hudson 44236). Tee times begin at noon. If you are unable to golf but would like to support HCA and our mission, there are several ways to get involved, including sponsoring a hole, donating an item for the auction, or attending dinner and the silent auction. This entry was posted in HCA Happenings on August 16, 2016 by heritageclassicalacademy. HCA Takes 2nd Place in Chicago!!! As we close out the first year of HCA’s Academic Challenge Team, we wanted to take a moment to share about the team’s experience at the Questions Unlimited Tournament in Chicago this past weekend. Throughout this year, we’ve had opportunities to challenge our students to be more Christ like at times, and God gave them opportunities to act on these challengea almost immediately. It has been awesome to see God at work with our students. This past weekend, students and families from HCA took off for Chicago, Illinois to compete in the Questions Unlimited National Tournament. For two days the HCA team competed in regular round matches against schools from around the country and didn’t lose a single match! In between matches, we managed to do some sight seeing including a trip downtown on the L-trian to see the Navy Pier and Michigan Avenue. On the last day of competition, we entered the playoffs with a perfect record and fought hard, winning our first two playoff matches to make it to the finals. In the final match, we gave it our best but ultimately lost to worthy opponents from Kentucky. We were very proud to claim a second place finish at this very tough tournament, however the crowning moment for our team came after we lost the National Championship match. One of the two facilitators of the tournament stood up, presented our team with the 2nd place trophy, and stated he was so impressed with our school and our students. He shared that while watching our team throughout the tournament he witnessed prayer, team collaboration, the ability to fight through adversity gracefully, and good sportsmanship when we won and when we lost. The facilitator had tears in his eyes as he said that he thought our team embodied a Christ-like spirit. Each one of the parents on our team were wowed by this sentiment. After the trophy presentations were over, the parents gathered together and celebrated; our students acted as the body of Christ during the tournament, and it was evident to the outside. This was the greatest win for us all. With this performance at Chicago, the HCA team places 4th in nation!! We were also very pleased to see that even though we didn’t win the Chicago phase of the tournament, 8th grader Jasmine Wheeler was still named the Chicago Tournament MVP! We are hope everyone at HCA has a great summer and we look forward to kicking off a new academic challenge season in the fall! This entry was posted in Uncategorized on June 16, 2016 by Brandi Wheeler.